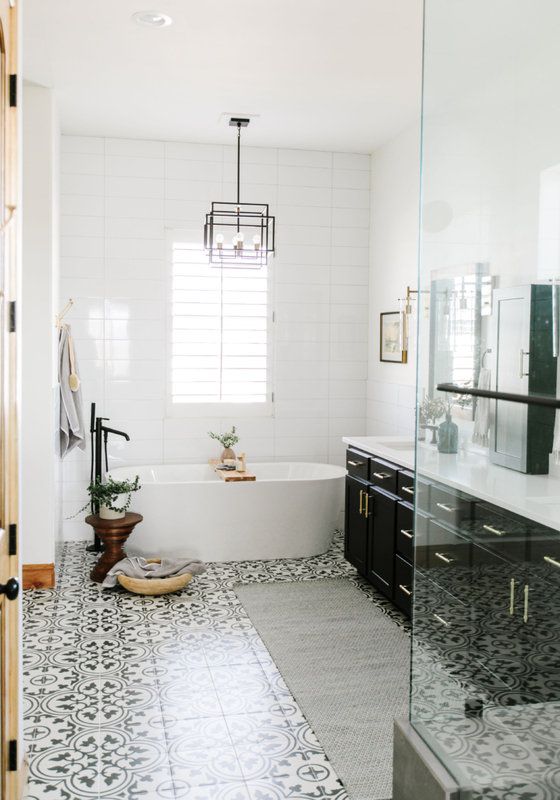 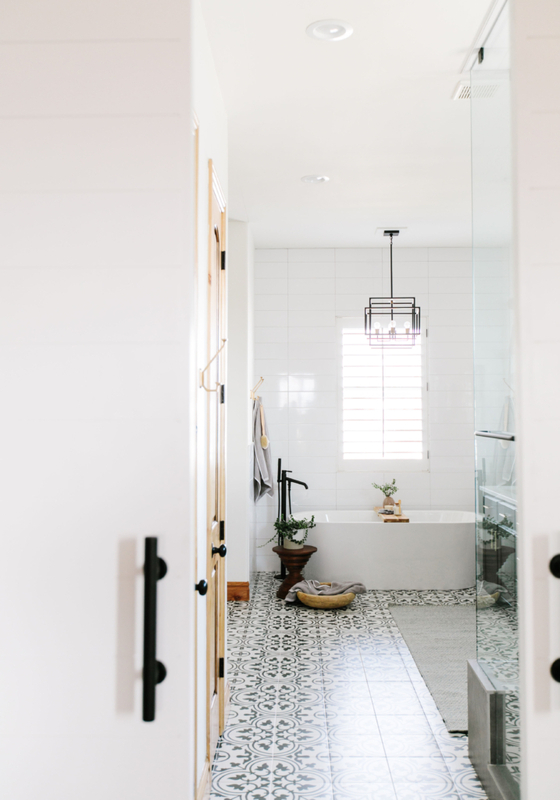 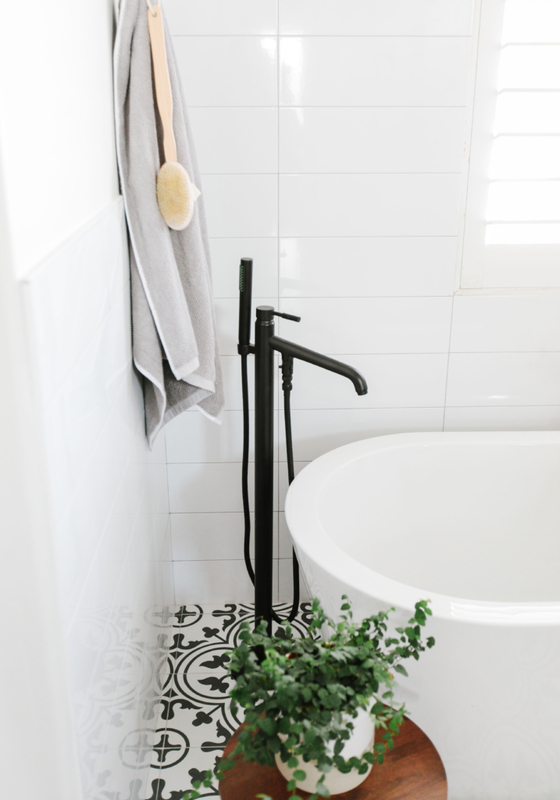 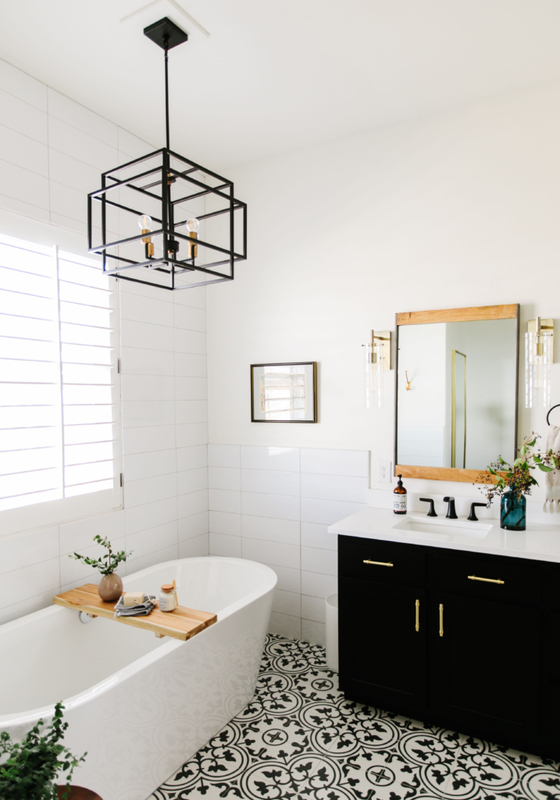 This bathroom was dated and wasn’t making the best use of the space (it’s BIG) so it was time for a total re-do. 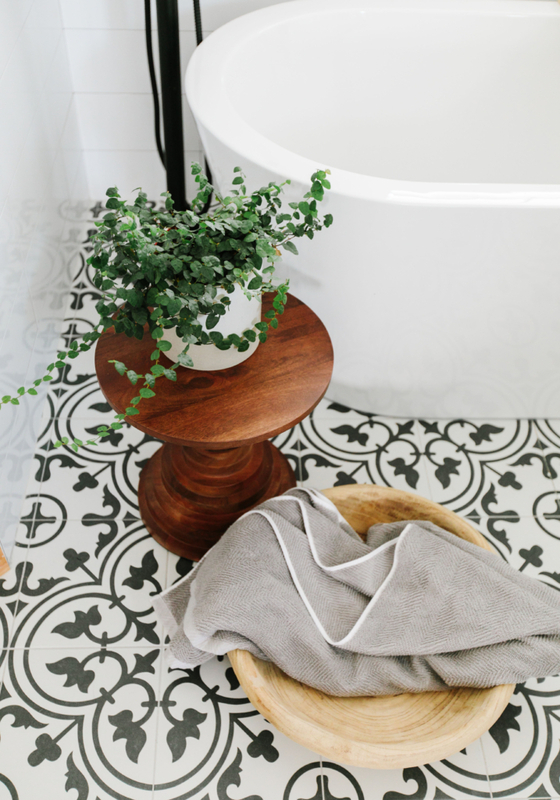 Of course this tile is the star of the show so we basically started there for the design. 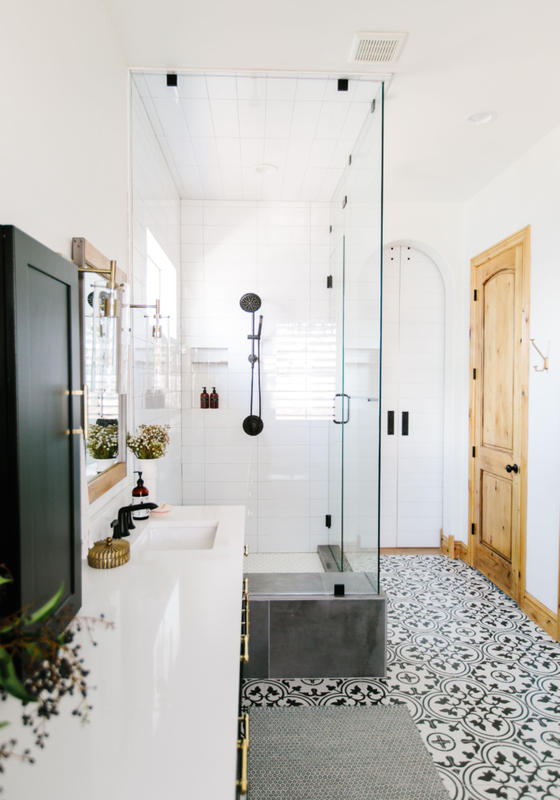 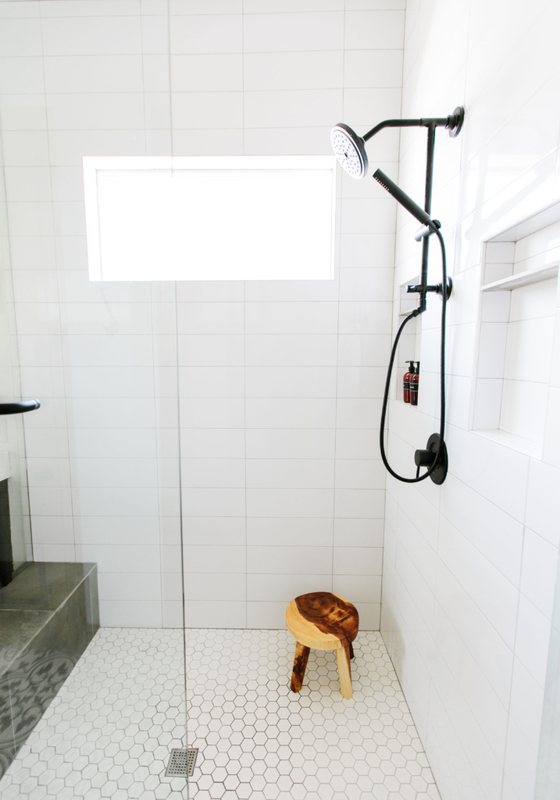 They have 10′ tall ceilings and the glass was only 7′ high before so we utilized the whole space by giving them a steam shower and tiling the ceiling as well. 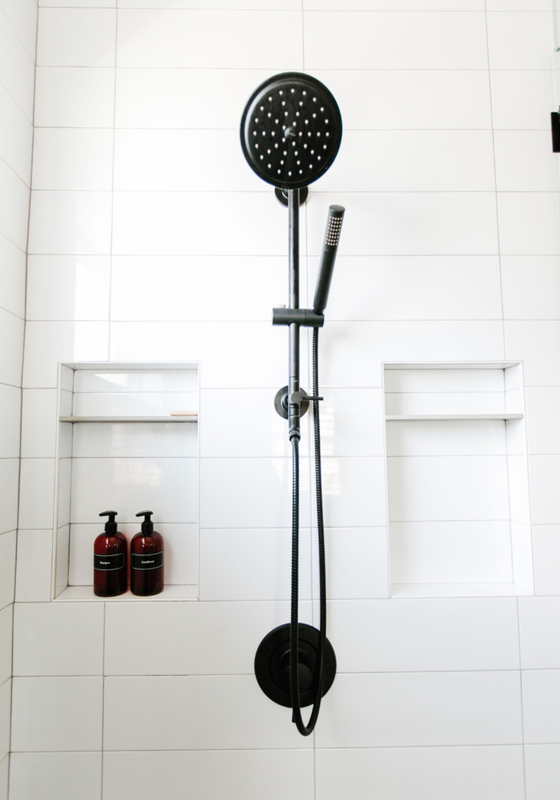 Matte black hardware in the shower pops so great off of all of the white tile. 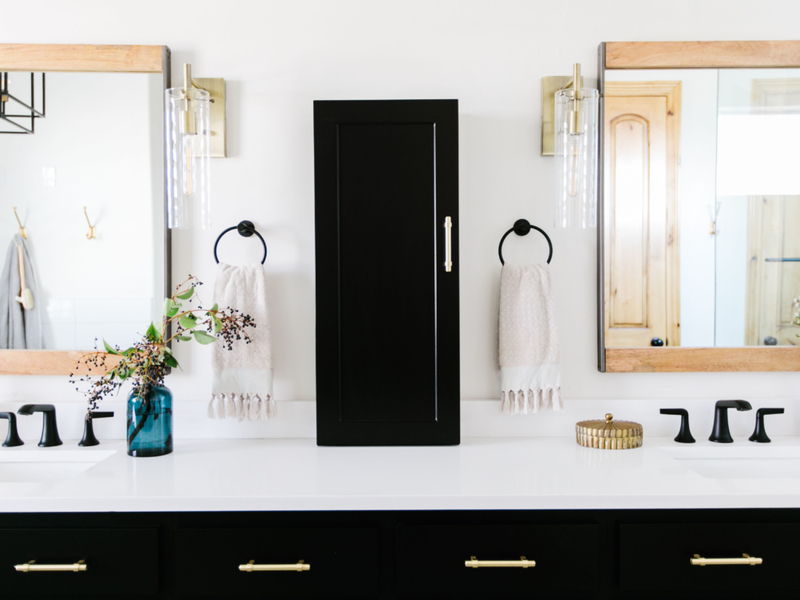 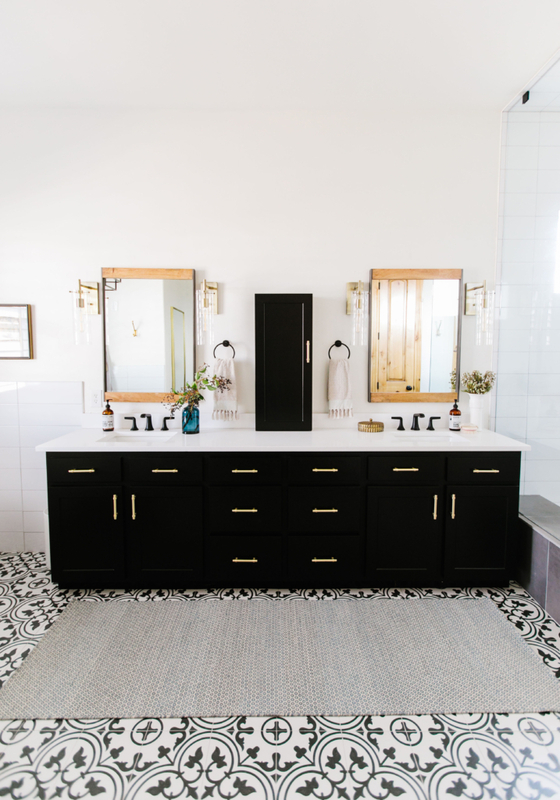 The small black cabinet on the vanity was the perfect place to house all of their every day items to keep their counters clutter free. 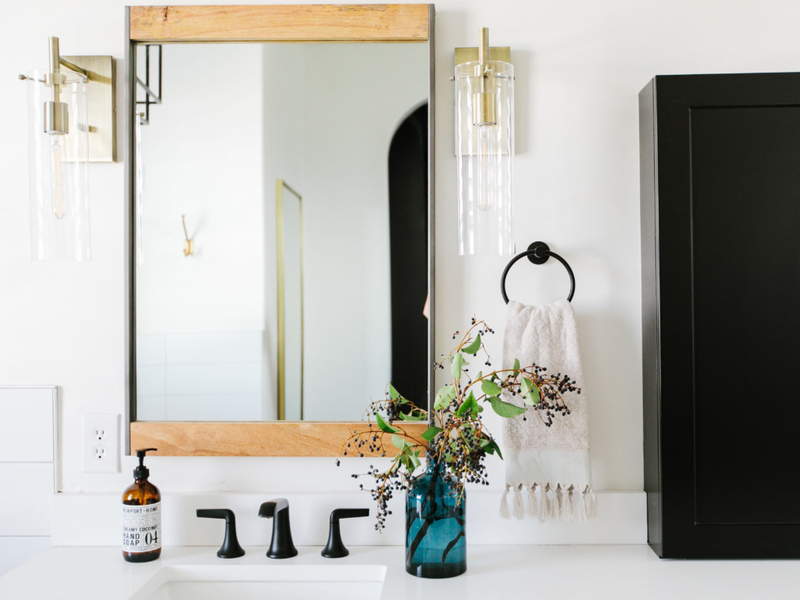 Mixing metals with the brass and gold is one of my favorite combinations. 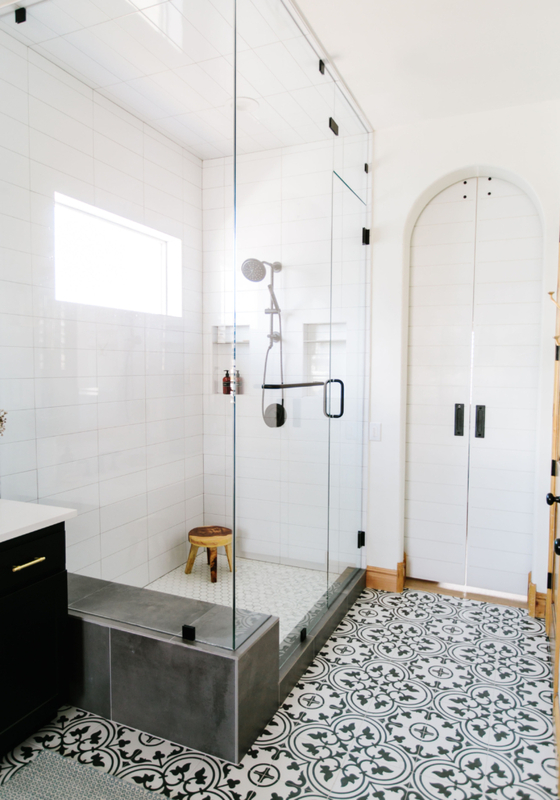 We carried the subway tiles over to go behind the freestanding tub to tie it in with the shower tiles. 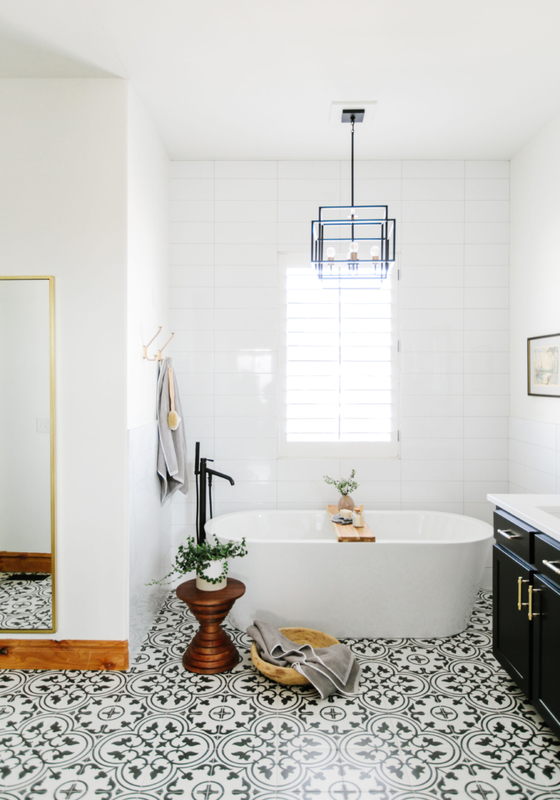 Black and white with wood accents wins every time in my book!